on vinyl. It's almost as old as I am. Maybe it's because I still have the original vinyl soundtrack from when I was a kid. Maybe it's because only the most cynical, heartless person could not like this delightfully charming movie musical. Maybe it's because last year I got to meet songwriter Richard Sherman in person and shake his hand. Maybe it's because I can spell "supercalifragilisticexpialidocious" without having to look it up. 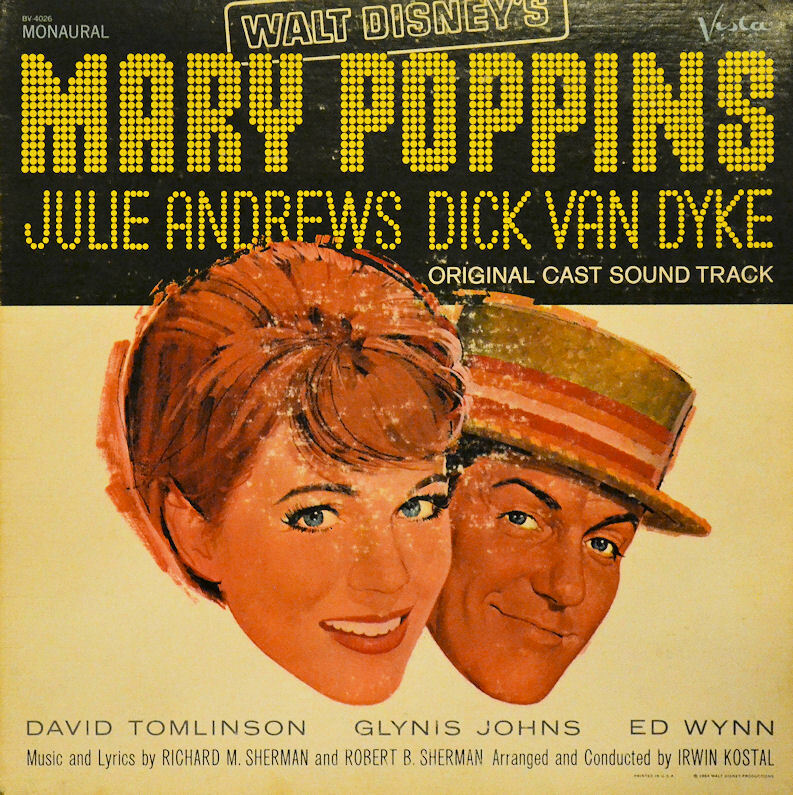 Released two years before his death, Mary Poppins was Walt Disney's last great movie triumph. The story of the magical British nanny's impact on the Banks family of Cherry Tree Lane won five Academy Awards and transformed Julie Andrews from a Broadway sensation to a bona fide Hollywood star. It contains some of Disney's most iconic scenes, from dancing chimney sweeps to racing merry-go-round horses to tea parties on the ceiling. 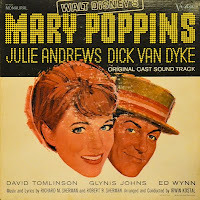 And all of it is set to a catchy--and sometimes deeply moving--song score by the Sherman Brothers that includes "Chim Chim Cheree," "Spoonful of Sugar" and "Feed the Birds." I've fought saying it for the last few paragraphs, but Mary Poppins truly is practically perfect in every way. This is part nine of my 30-day Disney movie challenge. Next time, we go across the ocean, literally, for Disney's best foreign film. Is the picture of the album cover one of your copy of the LP? I love that it's in monaural sound. Yep Ron, that's the one. In glorious mono. The album cover has aged, but isn't quite as yellow as you see in the pic. That had more to do with the lighting.